More than a decade after closing its doors to the public and almost a quarter century since it ceased being a church, Old St George will once again be holding services on August 21st. 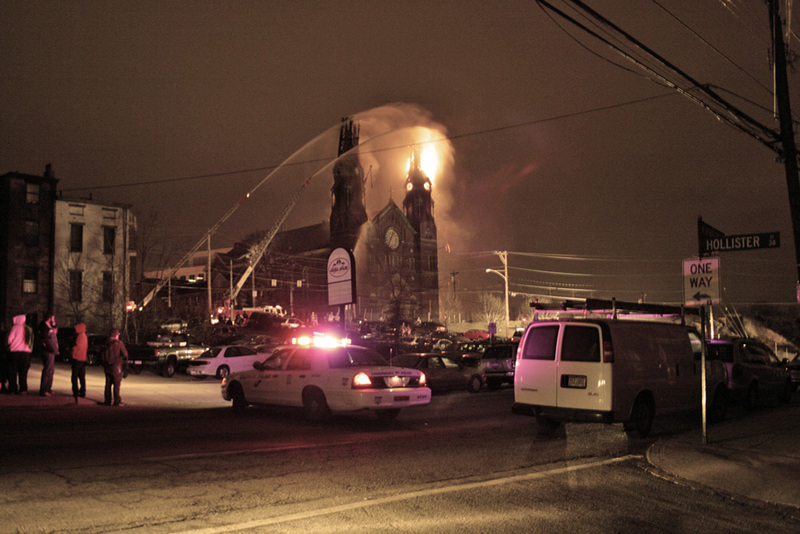 The Samuel Hannaford designed church’s future was not always certain as it nearly faced the wrecking ball in 2005 and then in 2008 suffered a terrible fire that burned both its iconic steeples and very easily could have destroyed the entire building. Starting with the purchase of the building to save it from imminent demolition in 2005, the Clifton Heights Community Urban Redevelopment Corporation has been the steward of the building. 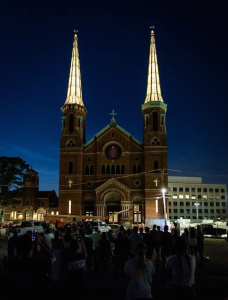 In that time, development partners were engaged to try and figure out an appropriate adaptive reuse of the historic church. Energy and resources were put forward to explore everything from office space and a hotel to apartments and an REI. No stone was left unturned. In 2014, CHCURC began discussions with Crossroads about the possibility of their opening a branch church in the University / Uptown area. The idea seemed far fetched as urban church congregations aren’t exactly a growth market. That said, Crossroads proved to be the exception to that rule and they saw opportunity and a new life for the once and still proud building. In Spring of 2015, Crossroads purchased the building and proceeded to invest over $10 million to realize their vision. 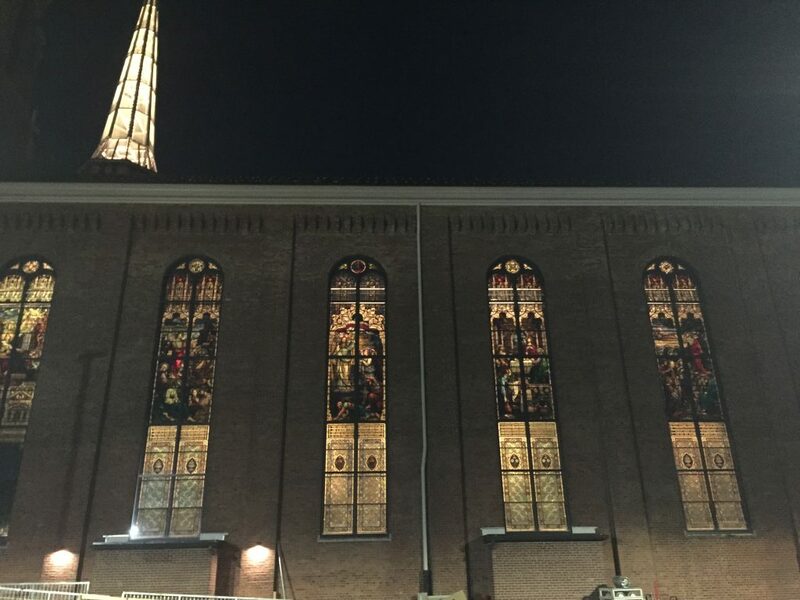 On the eve of their first service, the iconic steeples have returned and the stained glass glows brightly. The building will be open to the public on a daily basis to enjoy as study and meeting space starting August 22nd.